My heart just GRIEVES when I see people flocking to prosperity-driven resources. Here’s a glimpse of my Facebook status this morning after seeing the “promotions” of a very public and high profile “coach”. Sigh. Please don’t put your hope in the wrong places and people. KNOW who it is the people and authority figures in your life follow, because you may be following them down the wrong path. Cautionary word about life “coaches” and “life changing” programs. Not all people are coaches. Some of them are mere salesmen “coaching” (selling) others on how to become the same by selling you their “break through” and how-to programs. Many claim to draw you closer to God by giving glory to God for their profit and popularity, but it’s deception at it’s best. They will claim to show you how to find your security, hope, and peace, but they are a false prosperity-driven gospel spoken by someone caught in a conflict of interest (serving two masters: God and money), and they ultimately use their platform to lead their followers to put time, energy, and money into their wallet by chasing the things of this world: personal platforms, financial freedom/security, and sometimes even the favor of God (as he “blesses you abundantly with material possessions of this world”). However, we know not to chase what will rot away. As I coach myself, I consider and reflect upon Matthew 6:24 “No one can serve two masters. Either you will hate the one and love the other, or you will be devoted to the one and despise the other. You cannot serve both God and money. I say this to caution you to about those you follow and learn from. If a coach (or teacher of anything) is leading people to BUY PROGRAMS attached to THEIR OWN PROMISES OF PROSPERITY, or brag about how they sell out, and make $2 million bucks, and that they will “teach” you to do the same, I caution you to reconsider the underlying teaching and their integrity. They claim to give God glory with their mouths, but they serve something entirely different with their programs. instead of followers of Christ and God’s Word. Please consider today: As coaches, teachers, preachers, leaders: Which are we promoting that people follow? Me? My programs? Things I do that lead to comforts and profits? AM I “selling” people on ways they can find freedom and riches and is it based on giving them thing of this world which perish? Which are people following? Am I promoting a money? Am I creating profits by leading people to me with enticing packages and false hopes? Or am I using what I have to help people and point them toward Christ without focusing on profits at all, but the provision of God as He sees fit in my life? Lastly: PEOPLE…If coaches/preachers/teachers are selling out and (even bragging about how they sold out and clear 2 million dollars or whatever amount they brought in) and ask you to purchase their programs so you can also do this, too (undercover money schemes), PLEASE use your common sense and be cautious of what they’re really promoting and glorifying. YOU CAN ONLY SERVE ONE MASTER! So, be careful of who it is you follow and what it is you are being led to chase. Be aware of what has become your master! Coaching, business, and giving glory to God can absolutely be done with integrity. It’s OK to make a living. But, we must be super-cautious about how and what we are doing by what it is we are promoting and giving glory to. We can’t give glory to God only when things are prosperous and well. God gets the glory-PERIOD. Being bivocational can certainly have it’s challenges (I know-because that is how I am as a coach and preacher in community). But, if the focus of what you do and promote and provide to people is always based on “how to profit and enlarge the bank account” (yours or theirs), and you’re promoting that as what saves people and a program or source of security, it might be that you really have sold out and are serving the master you did not intend to. Just food for thought. As leaders, we cannot sell out. Otherwise those we lead will follow. And that is a dangerous path! The Gift of Gab Life Management Show. Listen to the latest episode! Enjoy the latest show episode! Christine Pechstein takes you through a new topic every Monday. Learn about life and stress management, faith, leadership, and personal growth in just 15 minutes per week. Click here to see all episodes in the archive. What can I help YOU overcome? What would you like to overcome in your life? A challenge? Something that stands in your way? Are you stuck? Don’t think you have what it takes? Want to tap into your potential within to prove to yourself what you’re capable of? then I want to talk to you! Contact me using the form below. If you’re selected, you could be a guest on my Blog Talk Radio Show, The Gift of Gab! If you don’t want to be on the show, please contact me anyway. I would like to use it for upcoming segments and your topics are always valuable! PLUS, for each person who does talk to me (by responding below with their challenge or desire to overcome), you’ll be entered into a contest for one of my coaching products (might be a book, coaching session, or hum-dinger of a surprise! OK, enough of the persuading! Contact me! I really do want to talk to you! Let’s plow through obstacles, encourage others, and Kick some ‘But’ (excuses)! This is YOUR shot! You Can Run And Hide Or You Can Or Stand Up And FIGHT! The Gift of Gab! Episode #24 Your Battle Is To Maintain Your Focus! More Time? More Energy? More Resources? Are you battling to maintain the right and proper mindset? Are you fighting to hold onto a right attitude in a distracting and frustrating world? Do you find it hard to do with so much going on around you? Do you get overwhelmed at times by the voices and chatter and many opinions filling the air and internet waves that sometimes it frustrates your progress? In this episode, I’m going to tell you HOW you can FIGHT to overcome these things are more. I’m going to talk quickly only stopping to breath when my face starts turning blue to fit all this good stuff in! Grab your pen and paper, listen up, and write fast! The great Gab is about to start! YOU CAN OVERCOME YOUR OBSTACLES! You can get your focus back. 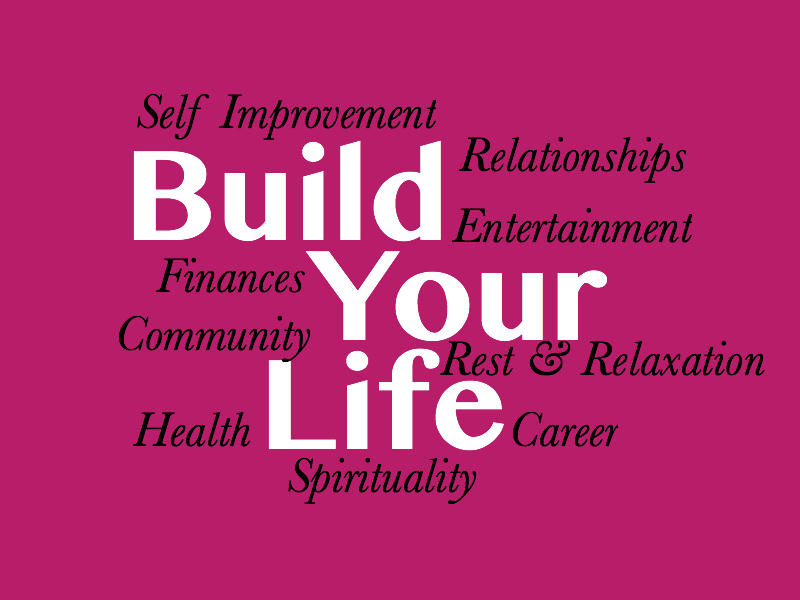 You can build a life based on your priorities, passions, and purposes. You can do what others have said you can’t. You can TRY. You can FLY. You can LEARN. You can GROW. You can ENDURE. You can get your focus back no matter what obstacles, people, or fears stand in your way. Learn to identify what derails and gets you off target. Take action against it. Prepare. And fight! You contemplating the big QUIT? Not anymore! You’re an overcomer…and you can do this. Renew your mind. Stand on your priorities. And fight the Good fight! I love using our GPS system when traveling. It’s reassuring to know that we can rely on a plan to drive to places unknown with the hope of arriving safely and on time. The pronunciations of some of the words she says is hilarious! Boulevard is boulevahard, Kansas is Cactus, and so on. Traveling to our destinations becomes funny listening to these funny words. Many times we count how many times in one trip we get off course and hear the GPS say, “Recalculating” as she tries to reconfigure our whereabouts. As I was driving down a boulevahard just the other day, I started comparing GPS to life goals and staying on track with them. We need to learn how to recalculate! In January, we are so busy setting goals and life priorities, but how long is it before we start getting off our intended course? How long before we get side tracked and travel in the wrong direction leaving the goals we wanted to reach off in the distance and forgotten so quickly? How is that that our priorities get lost in all the busyness of life? If we go the wrong direction or take a wrong turn, do we just give up and quit never reaching our destination in life? NO! We recalculate to get back on course and continue on! Life Management skills and training is essential for teaching us how to stay on our course to arrive at our intended destination much like a GPS for our auto. By stopping to recalculate where we are in relation to where it is we intended to go, we can get back on course quickly to reach that important destination. Our visions will become reality. Our priorities will be lived out. Our lives will be uncluttered allowing us to find rest, peace, hope, and joy. Listen to the show and get all the GPS and Recalculation information you need to get back on track quickly when you find you get off track or your goals are being lost in the busyness of life. You can start over now. Hit your reset and recalculate. Want more? Become a member and access my no coast coaching and training training options. If you’ve ever thought about changing any of your 9 life areas, you’ve thought about making some risky changes. Yes, YOU KNOW you know risk. And I know it, too. We all do. In order to overcome obstacles that hold us back from the life change we seek whether it be character development, self improvement, better relationships, to improve our jobs (any of the nine life areas of life management), we must first be committed to take that first step on the path called R I S K.
Risk is your new path to the life you envision. Why? If you change your life, people may not like the changes you make. Your success may blow their own excuses out of the water, leaving them with nothing more to cling to except the reality that they, too, can change if they are committed to the life they envision—just as you have done. Your success can invalidate the excuses others safely cling to. So, not everyone will embrace your life change and success. No matter what obstacles await you, no matter what you must overcome to live for your priorities, and regardless of what others have said about you or will or might say, you simply need to resolve to one thing this year to make the life you envision happen: Resolve to take your first step for each goal on the path called risk. And after you start the journey, simply focus on your potential to overcome your obstacles every day. Before you know it, you’ll arrive at the place you envisioned and look back and know it was absolutely WORTH THE RISK. Not only that. But you did it. Celebrate that you took a risk and you did it. You found potential. And you know without a doubt that there’s more where that came from. Keep taking risks, because your potential never runs out if you resolve to take a risk to live it! Like this post? Can you handle Life and Stress Management coaching, training, and Christine’s Kicking ‘Buts’ Boot Camp online for a year? Get started now! It’s free for members!